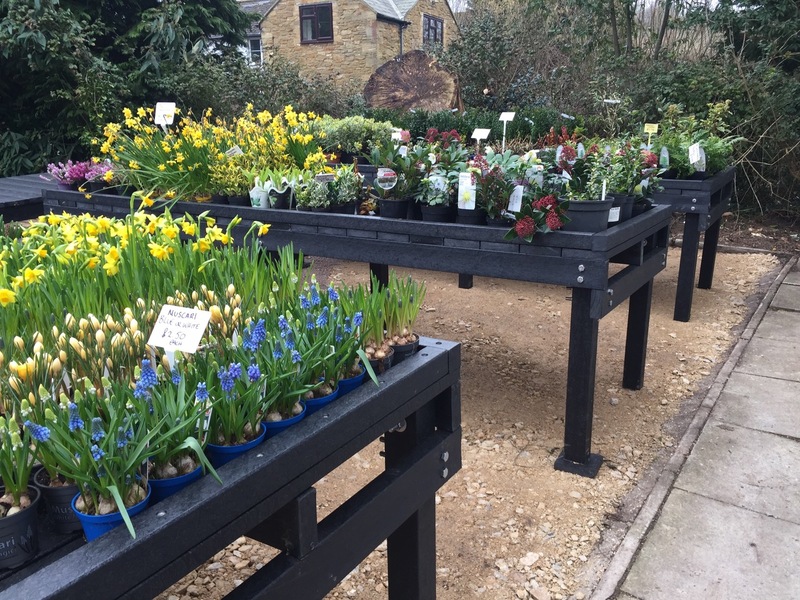 Greensleeves Nursery and Farm Shop in Odcombe, Somerset has started to make an impressive series of display benches using our recycled plastic lumber planks as part of their sustainability drive under new owners, Derek Taylor and Helen James. As neighbours and customers of the Nursery and Farm Shop, they felt it should continue to serve the local community after one of the long-standing previous owners passed away in early 2018, so went on to acquire the business last November. Ever since then Derek, Helen and their experienced team have been enthusiastically refurbishing, revitalising, replenishing and renewing the whole site with environmental sustainability being one of the key drivers, hence the use of our recycled plastic planks in the design of their display benches. Derek and Helen’s commitment to sustainability runs right through the business including the Farm Shop where they are going to sell as much of their own produce as they can, enabling their customers to buy their groceries with as few “food miles” as possible. If you’re in the area, why not pop in and say hello?